European Research Area Networks, or ERA-NETs, are partnerships of national R&D funding institutions. Their main objective is to implement joint transnational calls for research project proposals. They may also co-ordinate wider research cooperation and activities in their thematic areas, for example, by developing strategic research agendas, databases, principles of sectoral research integrity, etc. Horizon 2020 ERA chair support – enables Estonian research and development institutions to cover the research costs of Horizon 2020 ERA chairs. Horizon 2020 ERA NET support – enables Estonian research and development institutions to cover the research costs of participating in Horizon 2020 ERA NET projects. 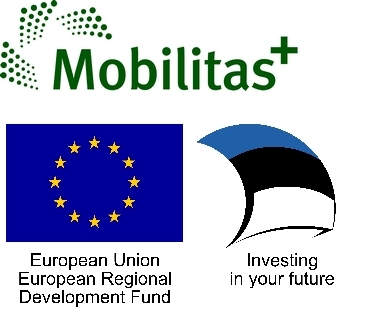 Horizon 2020 EIT support – covers the travel and staff costs of the participation of Estonian research and development institutions in the work of Knowledge and Innovation Communities (KICs). The overall objective of the Baltic Research Cooperation Programme funded by Norway, Iceland and Liechtenstein by using financial mechanism for 2014–2021 is to enhance research collaboration between research and development institutions of Baltic states and donor countries Norway, Iceland and/or Liechtenstein; to stimulate long-term cooperation, capacity and competence-building. The total budget of the programme is 22 million euro (incl. 6 million euro budget for 2018 2018 call). 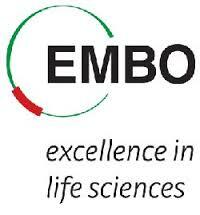 The European Molecular Biology Organization (EMBO) was officially set up in July 1964. Through the formation of the European Molecular Biology Conference (EMBC) as a permanent intergovernmental body in 1969, EMBO was able to gain the necessary political support for its long-term projects. The EMBC is an inter-governmental organization that comprises 27 Member States, including most of the European Union and some of the neighbouring countries. The Estonian R&D&I strategy “Knowledge-based Estonia” lists co-operation with the Nordic countries as one of the priorities of Estonian research co-operation. NordForsk is a platform for joint Nordic research and research infrastructure cooperation. The organisation was established in 2005 by the Nordic Council of Ministers in order to strengthen the Nordic research and Innovation Area. NordForsk’s mandate is to facilitate, i.e. to identify and respond to, strategic priorities for Nordic research cooperation, and thereby create Nordic added value. Estonian researchers can participate in NordForsk’s calls for proposals. Bonus programme the joint Baltic Sea research and development programme for years 2010-2017, was started by the BONUS member states together with the EU, worth of EUR 100 million euros. It’s vision is “Economically and ecologically prosperous Baltic Sea region where resources and goods are used sustainably and where the long-term management of the region is based on sound knowledge derived from multidisciplinary research”. The mission is to integrate the Baltic Sea System research into a durable, cooperative, interdisciplinary and focused transnational programme in support of the region’s sustainable development. The BONUS strategic research agenda is the backbone of the BONUS programme on which all the BONUS calls and hence the projects funded are based on. It has been developed together with over 800 stakeholders across the region including scientists, policy makers and funders. Currently, Bonus has 5 strategic objectives, 19 themes are supported to reach these objectives.